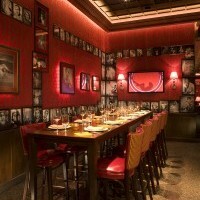 Strip House is a chain of steakhouses from New York City, with the Las Vegas outpost within Planet Hollywood. 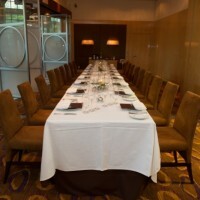 The private dining options are well suited to smaller groups. Within the secluded confines of Four Seasons is the Italian restaurant, Verandah. The dining room is chic and intimate, while an expansive garden terrace overlooks the lushly landscaped private pool. On the menu is housemade pastas, braised meats, wood-fired pizzas and fresh seafood prepared by Chef Antonio Minichiello. Pre-set à la carte or multi-course breakfast, lunch or dinner menus can be created for any event, and à la carte, buffet or family-style service is also offered. Kahunaville is a tropical themed restaurant inside Treasure Island featuring Caribbean, Asian and Mediterranean food. Enjoy delightful tropical fare such as Macadamia Crusted Mahi Mahi and Piña Colada Chicken while sipping signature frozen cocktails and traditional drink creations. 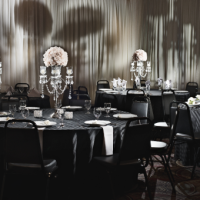 Butler passed hors d’oueuvres, ala carte menus and BBQs to plated dinners are possible for wedding receptions and events. Charlie Palmer’s award-winning Aureole at Mandalay Bay features three unique private spaces as well as exclusive restaurant rentals. Views of their unique four-story wine tower and wine angels, as well outdoor access to the Swan Court terrace overlooking the waterfall and swans make this a fabulous choice for a restaurant reception. 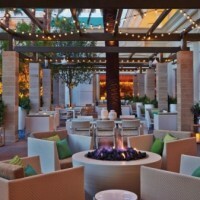 Dinner packages and tasting menus from $85-120, cocktail receptions from $40, bar packages from $25. Extensive wine list. Slice of Vegas, located within the Shops at Mandalay Place, offers Italian cuisine in the form of pizzas (of course) but also pasta, in both buffet and family styles. Gluten free, vegetarian and vegan options are available. Additionally, they can serve Mexican menus from their sister restaurant, Hussong’s Cantina Las Vegas. 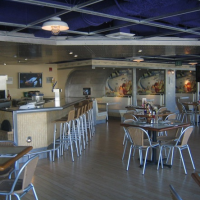 Jimmy Buffett’s Margaritaville Restaurant, Bar and Casino is right on The Strip located in Flamingo Las Vegas. The atmosphere is reminiscent of a marina or tropical island with a bit of whimsy and the restaurant serves up standard American bar fare with an island twist — the nachos and margaritas are massive! Gluten-free, vegetarian and kids entrees are available. 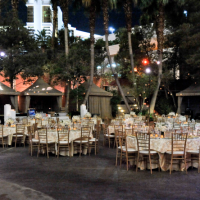 The space is also equipped for live music, and has patios and outdoor spaces overlooking The Strip.